Using the internet is expensive for most of the world’s population. Africans spend 17% of their average income to buy 1GB of mobile data. (The Alliance for Affordable Internet recommends that 1GB of mobile broadband is priced at 2% or less of average monthly income.) 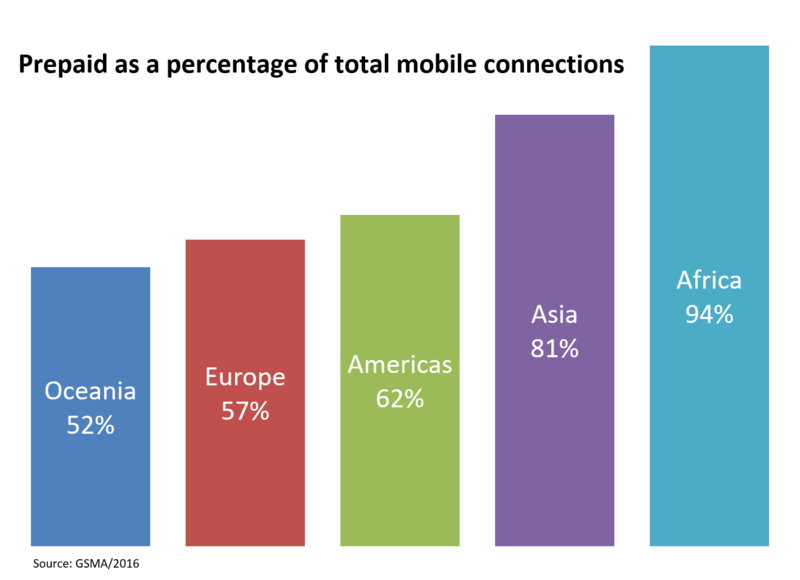 Latin Americans spend 4.7 times more to buy mobile data than North Americans. Unaffordable internet is a major contributor to the fact that half the world is unconnected. Lack of connectivity has major negative impacts on a country’s education, health, productivity and growth. Making internet access more affordable would bring more people online and would also increase meaningful internet usage for those already connected. Most that are connected do it over a mobile connection, and limit their internet usage to fit their budgets. Eighty percent of mobile connections in Asia are pre-paid - the cheapest option - so users are connected only when they have mobile credit, which is far from the desired 24/7 connection. 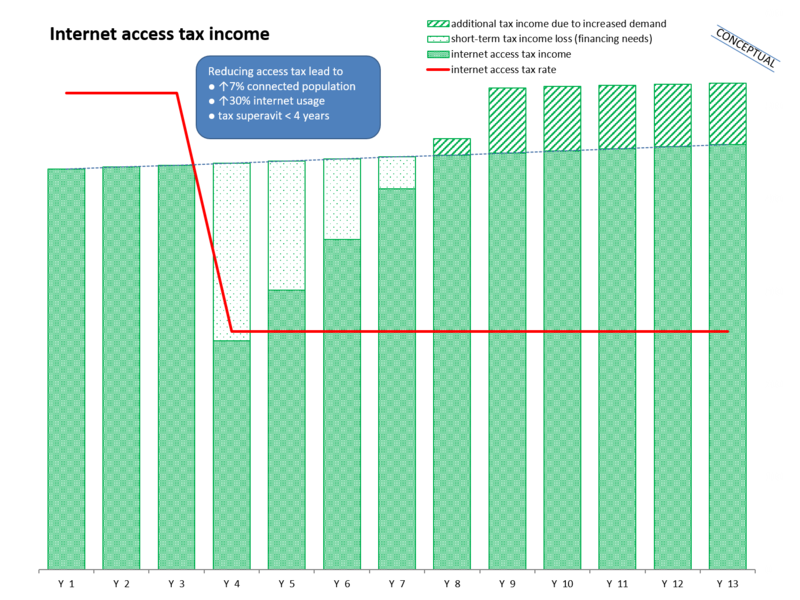 However, promoting affordability is easier said than done. Pricing of internet access follows a delicate balance. Operators need to remunerate their significant investments - every year they invest more than $1 trillion in mobile networks. Regulators promote competition and try to prevent market power abuse by operators who can behave oligopolistically. Governments often perceive telecommunications as an easy source of tax income. It’s easy to understand why. Cash flows are abundant, as telecoms have grown to become a large and relatively profitable industry. The cost of collecting these taxes is low. Many countries, especially those in emerging economies, tax internet access at a very high level. Affordability is one of the most significant barriers to internet adoption and usage, and taxes that affect internet service can have a devastating impact. In some countries, taxes can be as high as 60% of the price of access. By setting high taxes on internet access, governments are effectively slowing down adoption and usage (by artificially increasing the total cost of mobile ownership) and also possibly reducing potential GDP growth, which is heavily correlated to internet metrics. High internet usage taxes prevent people from getting online, and make it much more difficult for societies to advance towards the Fourth Industrial Revolution. 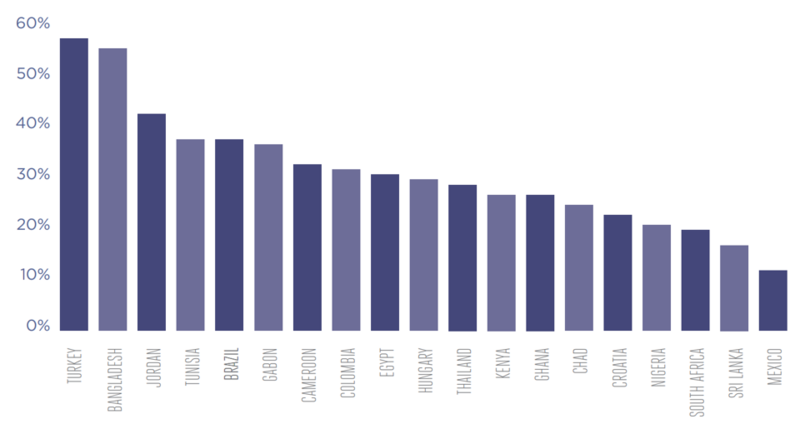 Countries where citizens spend more money on internet access are competing at a disadvantage with countries that have more affordable internet services. Reducing taxes is a strategy that is difficult to implement. Most countries run fiscal deficits, spending more than what they collect in tax revenues. Simply lowering taxes translates into increasing deficits. Any such proposition would surely be challenged, and the inevitable question of ‘where will the money come from?’ is difficult to answer. How, then, can reducing internet taxes be justified on economic grounds? What tools do governments need to increase internet adoption and usage using tax leverage? Quantifying the impact of lower taxes is a good start. Reducing internet access taxes (and ultimately, prices) leads to increased internet usage and a higher tax base. Detailed studies in countries in Latin America and Africa estimate that internet access tax reductions would generate significant increases in tax revenue to governments, after an initial reduction. In Argentina, for example, the elimination of excise duty on mobile services was estimated to generate an increase in tax income of $980 million per year, in only four years (initially the net impact is a reduction of $78 million). It would bring 1.7 million additional people online, significantly reducing the digital gap, and also increase internet usage for those who were already users. The prospect of increasing tax revenues and simultaneously reducing the connectivity gap should entice most governments. However, many may not be able to afford giving up tax cash flows, even if only for a few years, while internet demand (and the tax base) reacts to the stimulus. New tools and models could help governments in supporting “tax-income-increasing tax breaks” that are not possible in most countries. One possible arrangement could involve the participation of lenders who have a charter to promote economic and social growth, such as multilateral development banks, foundations and impact funds. The indisputable social return generated by increased internet adoption and usage should fit well with their investment thesis. That, combined with the inherent low-risk profile of lending to governments, leads to a unique combination of social and economic returns. As such, these lenders are able to support plans for internet inclusion that also have a net positive impact on governments’ budgets. Through financing, insurance and securitization of tax receivables, or other similar instruments, those institutions should be able to guarantee governments a steady cash flow as the latter implement tax reductions to boost internet adoption and usage. Together with a commitment by operators to pass most of the tax reductions onto internet access prices, this arrangement could result in a more affordable internet, less digital inequality, higher usage and, ultimately, the increased prosperity and economic growth that is heavily correlated with internet usage and adoption. An econometric model that simulates the impact of such measures for developing countries (illustrated conceptually in the chart above) shows that a reduction in the internet access tax rate from 30% to 10% results in a 7% increase in the number of connected users and a 30% increase in internet traffic. The initial tax deficit (which this paper proposes could be financed by third parties and thus requiring no changes in governments’ budgets) quickly becomes a tax surplus, as a result of the unlocked latent demand enabled by the lower tax rate and prices. For the government, this tax surplus more than compensates for the initial deficit, effectively (and counterintuitively) increasing inclusion and tax income at the same time. In conclusion, multilateral banks can play a key role in aligning government and operators’ incentives to the benefit of the unconnected. This is a typical economic scenario, solved through a third party (the banks) that can guarantee the asymmetries of time, and inefficiencies between a tax reduction and its pass-through to consumers. It would probably be the wisest use of these institutions' funds, and could even be scalable and replicable. Such an initiative should be implemented in coordination with schemes that address further barriers to internet adoption, including lack of skills and infrastructure, awareness and cultural acceptance, and local adoption and use. Leveraging a multi-stakeholder platform such as the World Economic Forum’s Internet for All, this solution has the potential to improve internet inclusion significantly, generating all the consequent social and economic benefits. This strategy has been developed in collaboration with Sebastian Cabello, Head of Latin America at GSMA, and with inputs from Hélcio Tokeshi, former Secretary of Finance for the State of São Paulo, Brazil. The opinions expressed by Sebastian Cabello are his own, and do not represent those of GSMA.